After conquering defending champion Roger Federer, Stefanos Tsitsipas could not see off two greats within a week. In fact, it only took 11 minutes for Rafael Nadal to show everyone who’s boss. Breaking Tsitispas in the match’s third game and then another five times Thursday, while never facing a single break point himself until the very last game, Nadal bullied his way to a 6-2, 6-4, 6-0 victory and progressed to a 25th grand slam final, five short of Federer’s all-time record. On Sunday, Nadal will try to earn his second Australian Open title. That final will come against either top-seeded Novak Djokovic or Lucas Pouille, who play Friday. 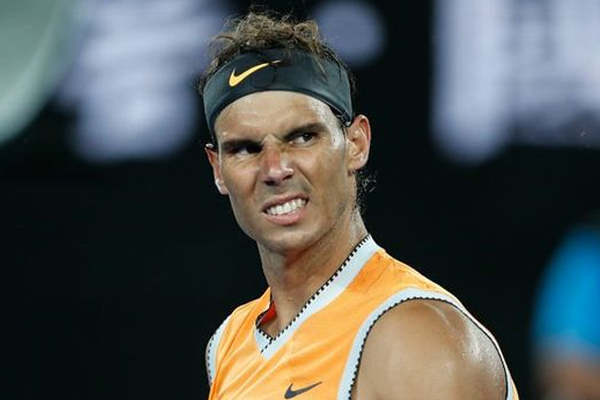 A title would make Nadal only the third man in the sport’s history to win each Grand Slam at least twice, joining retired Australian greats Rod Laver and Roy Emerson.